As I walked up and down the market this morning in the pale sunlight, weaving my way between the trolleys of plants where the stallholders were still setting up in the sub-zero temperatures, I came upon these Irises. I recalled that Joan Rose told me, when I met her recently, that the original planting of the flower beds around the bandstand in Arnold Circus was entirely Irises in honour of the Huguenot people, some of whose descendants, including Joan herself, lived there. 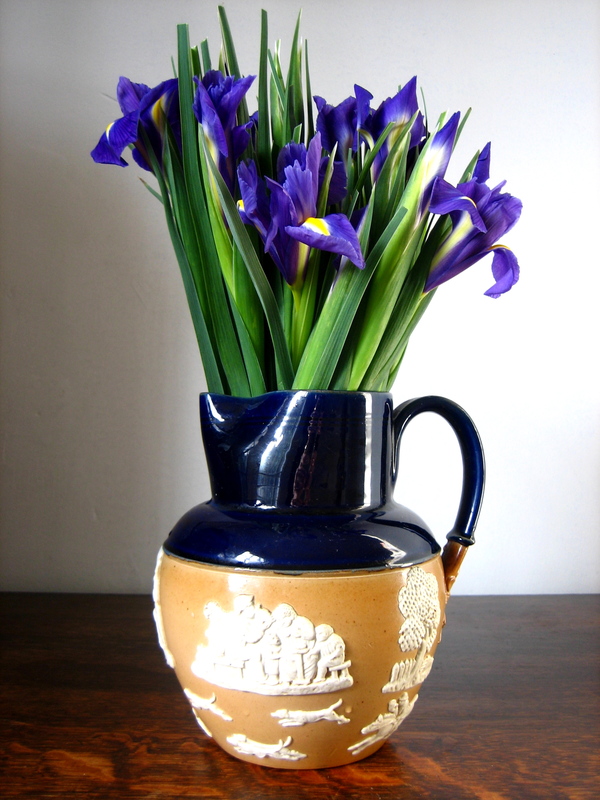 Apparently, blue was the colour of the Huguenot cross, composed of a four-petalled Iris, a symbol created in 1688. In Joan’s childhood, there was a gardener who took care of the gardens of St Leonard’s church, that were outstanding for their quality of cultivation. He also tended the Irises at Arnold Circus which Joan told me were sublime when they were all in bloom and the entire park turned blue. what interesting facts you have to share…….. along with beautiful images, this is particularly lovely. The characters of Brick Lane and surrounding areas are welcome in my home….